When plunder becomes a way of life for a group of men living in society, they create for themselves—in the course of time—a legal system that authorizes it and a moral code that glorifies it. The Honorable Minister Louis Farrakhan is doing just as his spiritual father did, guiding us to examine and analyze the historical record so that our actions today will be synchronized with the time and the will of the Almighty God, Allah. Let us then patiently review an historical Truth in the light of that which is being revealed to us today in The Secret Relationship Between Blacks and Jews, Volumes One and Two. 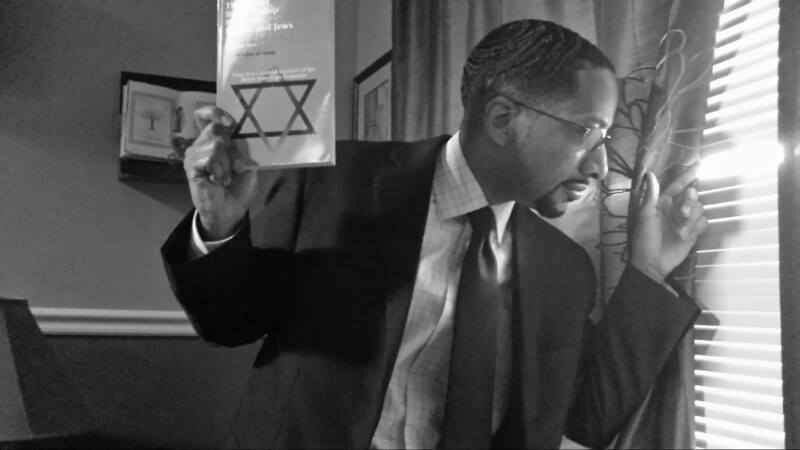 In these books Jewish scholars and rabbis clearly document their own complicity in the destruction of the Black man and the exploitation of his labor to serve wealth-building ventures of the Jewish people around the globe. If this Jewish behavior is indeed part of a larger strategy, as the books suggest, then the 500-year Jewish strategy of enslavement and oppression should also be in the DNA of the 1948 establishment of the state of Israel—an eerily familiar Jim Crow scheme that has had the Middle East in deep, bloody conflict for more than 60 years. The Caucasian Israelis and their Zionist supporters have insisted that the motivation of their founders was based on a Biblical directive, but, as The Messenger has suggested, history may offer an important insight into the origins and thus the legitimacy of the so-called Jewish state. Several Jewish scholars like Professor Shlomo Sand have already dealt a fatal blow to the claim that the Caucasian Jews who now reside in that highly disputed place in North Africa (the so-called Middle East) have ANY connection whatsoever to those Hebrews of your King James Bible. Genetically, these Caucasian, or Ashkenazi, Jews are Europeans that have simply assumed the sacred identity of a lost people and used it to sanctify their boldest colonial conspiracies. Most Israelis actually believe they are descendants of that ancient people, but they are no more connected to the Hebrew patriarchs than are box turtles. A more plausible explanation of Zionist motives only comes into focus in the light of the information contained in The Secret Relationship series. It is the worldwide marketing histories of sugar, cotton, and oil that link the Jews in a very direct way to the early stages of the trans-Atlantic slave trade in 1555 and to the state of Israel today. Let us start with sugar, the highly demanded commodity that induced a people of one continent to build fleets of war ships to invade two other continents—to exterminate the people of one and to replace them with millions stolen from the other—and to force the kidnapped people to work forever to their deaths. Sugar did that. It was first grown commercially on the islands off the west coast of Africa, and by the mid-1500s it made the move to Brazil and Surinam and the Caribbean islands and finally to the southern coast of the United States. And the people found in the most important positions in this commercial thrust were none other than Jewish merchants, largely from the trading centers of Portugal and Holland. So while Africans were forcibly moved to the plantations of the Western Hemisphere, Jews were found migrating to the very same places—but their role was to shepherd the sugar and slave trades into full commercial efficiency. They enslaved thousands of Africans in the process, and, according to the Encyclopedia Judaica (at which no Black Muslims are employed), Jewish colonists made Brazil “the most important area of sugar production in the world.” The Secret Relationship, Vol. 1, tells us (p. 21) that by 1600—176 years before the birth of America—the bulk of the sugar and slave trades and the plantations enslaving at least 10,000 Blacks was in the hands of the Jewish settlers. The Jewish Encyclopedia affirms that these who claim to be the “chosen people” “had a vast traffic beyond all the rest…” They became so wealthy and entrenched in their sugar-cane “promised land” that Brazil’s weekly slave auctions had to be postponed when they fell on Jewish holidays! Truly, a Jewish man’s heaven is a Black man’s hell. Black toddlers, prized for their delicate and nimble fingers, spent their childhoods picking the tiny seeds out of the cotton fibers. But with the invention of the cotton gin in 1793, a machine that speedily served that function, cotton exploded in marketability to become the most profitable commodity on the planet earth. Everyone wanted to be clothed in cotton, and that precious crop grew best in one place—the Mississippi Delta region of the American South. We know that enslaved Africans were brought into that wilderness in harrowing numbers, but only recently has it been revealed that another people made the very same, but voluntary, migration. The Secret Relationship, Vol. 2, shows that a group of highly skilled Jewish merchants from Europe very deliberately targeted the Mississippi Delta region for settlement, and the exploitation of slave-grown cotton was their only goal. They invested heavily in slave plantations and in the government, transportation, and marketing infrastructure that moved thousands of bales of cotton down the Mississippi river to New Orleans and into the world markets. [T]he cotton-plantations in many parts of the South were wholly in the hands of the Jews, and as a consequence slavery found its advocates among them. For more than a century cotton remained the world’s most important commodity, but its revenues soon waned in favor of a new major product—petroleum oil. It became clear to the giants of the industrial revolution that the free flow of oil would be essential to maintaining the growth and development of the Western empire. Their focus thus became the Middle East as the source and center of the most plentiful oil reserves. The British empire had seized control of the oil-rich region, and carved up the territory and the indigenous population with boundaries that served Britain’s economic design. But to secure a steady oil supply the Western powers needed a long-term Caucasian presence. And just as with sugar and cotton, Jews are again found making the same commercial trek to the very place where the raw material—in this case, oil—is most abundant. The borders of the newly invented “Jewish state” were not designed based on any ancient scriptural dictate such as that in Deuteronomy 34:1-4. The British had built an oil pipeline that reached from the Persian Gulf by Kuwait and Iraq through Saudi Arabia and Jordan and culminated at the port of Haifa in the eastern Mediterranean. Their plan was to build a Western-controlled infrastructure around the oil industry, with Haifa to become the oil spigot to the world. And thus the State of Israel formed around a barrel of oil—not a bible. There seems to be a pattern here: In the cotton trade, Jews rooted their business and banking superstructure at the port of New Orleans, which was the outlet of the Mississippi River and the destination of the endless procession of steam barges stacked with bales of slave-picked cotton. In Brazil, when sugar reigned supreme, it was the port of Recife, where sugar-exporting Jews numbered in the thousands. And now that oil is the world’s most desired commodity, Israel is where Jews—once barely visible among the indigenous Palestinian people—now number 5.8 million. Israel was born in 1948 just as oil became the powerful center of the world economy. And the Middle East and especially the Palestinians have been paying a bloody price ever since. The history is clear. The Jews have chosen for themselves much real estate around the world and have claimed it to be the “land of Israel,” or the “promised land,” or glossed it in some other scriptural pretense. The Rothschilds backed a 1,000-acre sugar plantation in Florida as the Jewish promised land; the slave-dealing Jews of Charleston, South Carolina, saw this oppressive Southland as God-given; one of the many infamous haters of Blacks, Mordecai M. Noah, planned a Jewish haven in western New York; and banker Bernard Baruch—the son of a Jewish Ku Klux Klansman—teamed with Franklin D. Roosevelt in a plan to simply take over central Africa and give it to the Jews! All of these colonization schemes were publicly framed by Judaic commandments, but we now see that they all really had one purpose—to make loads of money for the people Jesus Himself threw out of the temple. And most of these schemes required the utter extinction of the indigenous inhabitants and the importation of foreign populations to provide the labor. The result of these destructive Jewish “wanderings” are the shattered societies of a destroyed people, juxtaposed against the uncountable riches and boundless prosperity of a “religiously enterprising” people who have gained in material wealth—but who are also in endless conflict with the Gentiles of the world and utterly devoid of peace. As our great Minister has said: “[T]here can never be any peace structured on injustice, thievery, lying and deceit and using the name of God to shield your dirty religion under His holy and righteous name.” Adolph Hitler was accused of similar genocidal acts and grand schemes, but history has been best qualified to show us that Hitler had great Jewish role models.